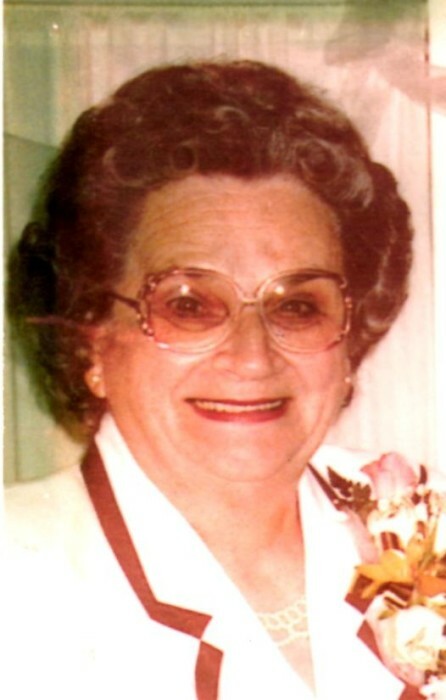 Obituary for Dorothy Ruth Powell | Fox Funeral Home, Inc.
Dorothy Ruth Powell, age 90 of Saxonburg, died August 29, 2018 at Concordia Lutheran Ministries. She was born in Saxonburg to Wilma Rearick and James Wylie Powers. Dorothy worked in the Knoch High School Cafeteria, retiring in 1984. She was a former member of Clinton U.P. Church, where she served as deacon, was on the outreach committee and as a Sunday School teacher. She was presently a member of the Cabot United Methodist Church. She enjoyed camping, traveling and visits from her family and friends. She set a good example to live by and will be missed by all who knew her. Survivors include her son Richard (Cathy) Powell of Zelienople, her daughter Terri (Steve) Antoszyk of Butler, her son in law, Jim Rodgers, 6 grandchildren Tricia (Todd) Smith, James (Carrie) Rodgers, Keith (Lynn) Powell, Steve (Maureen) Rodgers, Stush Antoszyk and Shelby Antoszyk, 7 great-grandchildren and 4 step great-grandchildren. She was preceded in death by her parents, her husband William C. Powell on December 25, 1999, her daughter Nancy Rodgers, 2 sisters Orpha Logan and Margaret Chambers, and 2 brothers Joseph and James Powers. Friends will be received on Friday from 5-7 pm. Funeral services will follow at 7:00 pm at the funeral home with Rev. Roger Nuerge officiating. Burial will be in the Clinton U.P. Church Cemetery. Memorial donations may be made to the Good Samaritan Hospice.